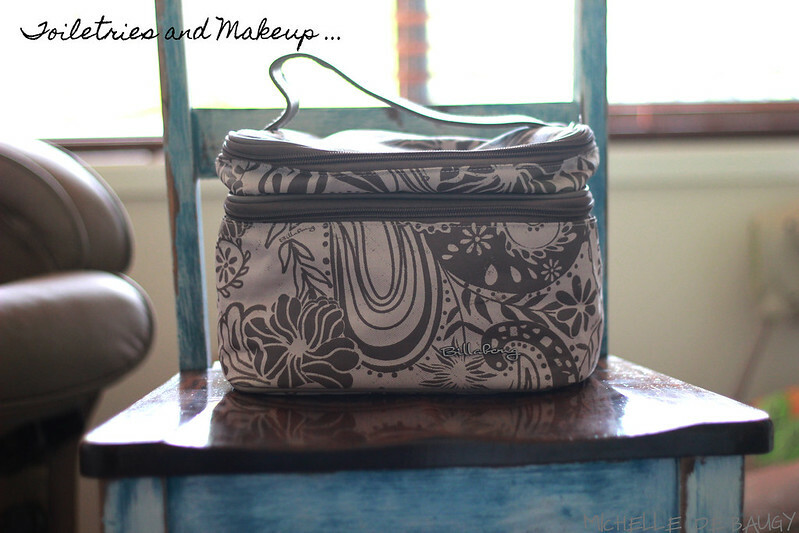 Our Life Down Unda: what's in my bag. 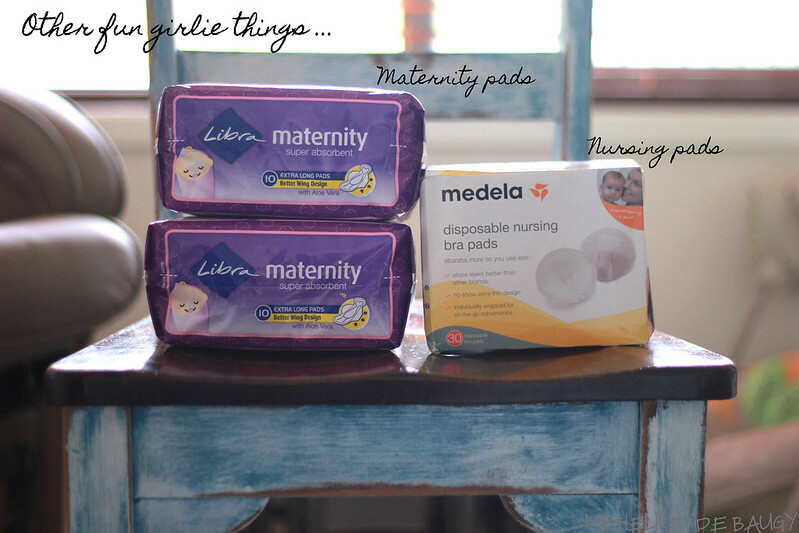 One of the more frequently asked questions I have gotten as my due date approaches has been, "So, do you have your bags all packed?" I found this question a bit hard to answer for two very specific reasons. 1. I couldn't really "pack my bag" completely because I have very few things that still fit me and if I were to pack them all, I would be running around naked (which no one would appreciate right now- TRUST ME!!). 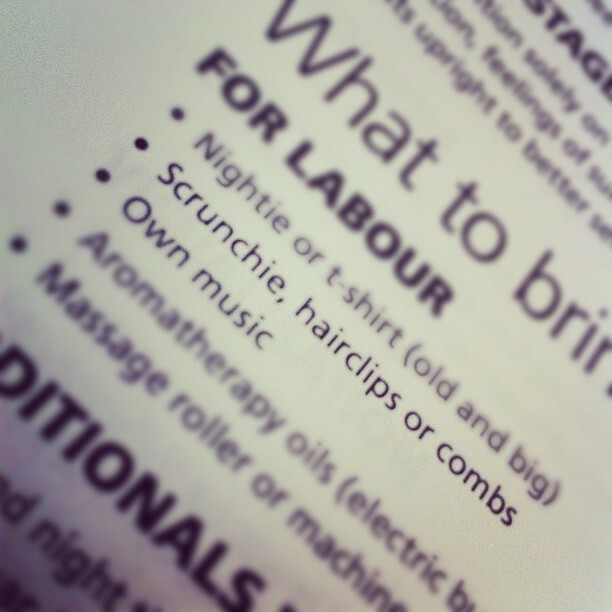 Our hospital gave us a short packing list in one of our birth classes, and according to them I should bring with me a scrunchie. Yes- a SCRUNCHIE! Really- are we back in 1992?? That being said, my very fashion forward friend Alyce assured me that scrunchies are, in fact, making a very strong comeback these days. It is just too bad no one told me to preserve my extensive scrunchie collection from the 90's for the birth of my first child. Damn! Needless to say, before running out in search of the perfect labour scrunchie, I decided to do a little bit of a Pinterest search on other things people recommend one pack in their hospital bag. I found lots and lots of ideas and think I can finally answer the "So, do you have your bags all packed?" question with confidence! Yes! 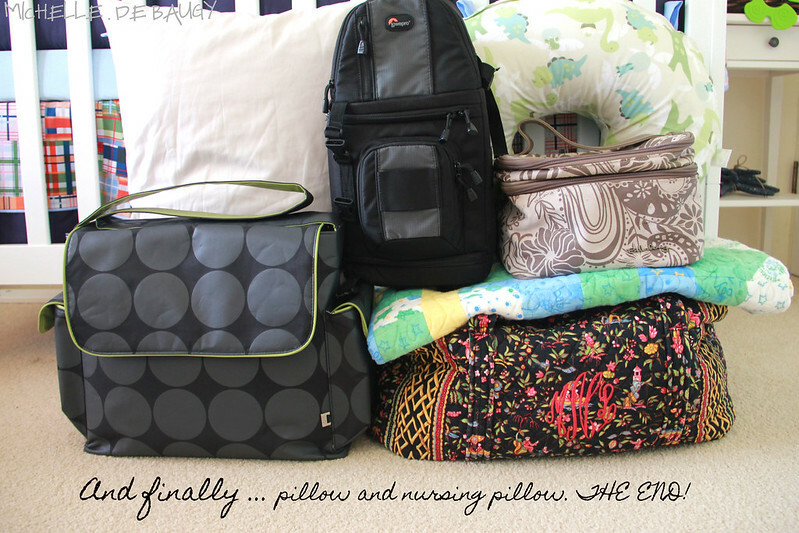 Our bags are officially packed and ready to go! So what did I end up packing you ask?? OiOi Messenger Bag (TIP- if you are going to buy this AUSTRALIAN made bag, it is actually cheaper to buy it from the USA and pay to ship it to Australia. Seriously, what is wrong the retail world here!?!). 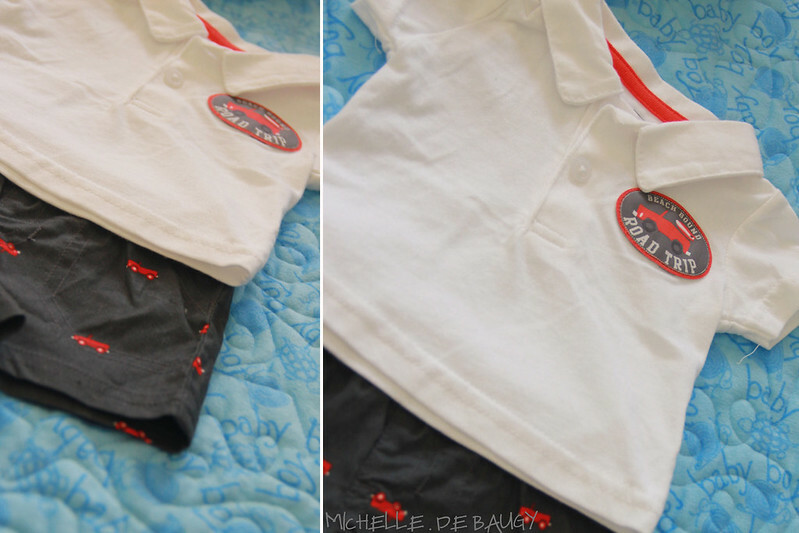 Hospital Outfits: I went with a few different hospital outfits in both the newborn and 3 month size because I have no idea how big he will be. Since Byron was born the size of a toddler (okay, slight exaggeration) Max is convinced Lachlan will also be a big baby so I thought I better bring along a few different sizes. It is also moving in to summer here and I wasn't sure if the little guy would be hot or cold... or somewhere in between. All that being said, the hospital does provide clothes for Lachlan while he is in their care so I am not even sure we will need any of this in the end, but what new mom can resist carrying around little tiny clothes! 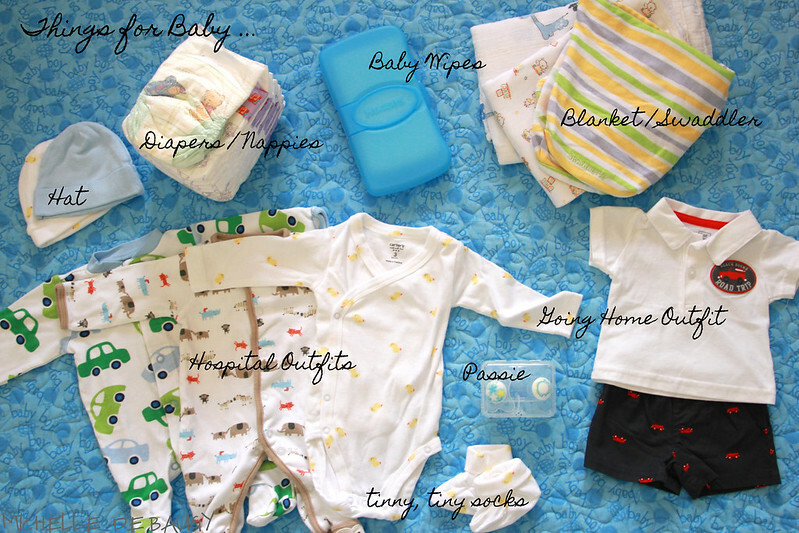 Diapers and Wipes: the hospital does provide us with some of these items, but they also ask you to bring along some as well. 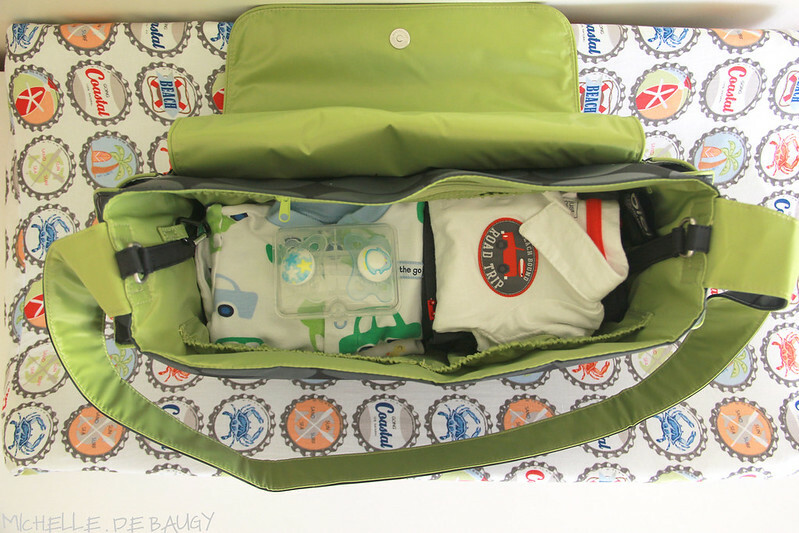 I just packed a few newborn size diapers in hopes that he will not be too big for those! Going Home Outfit: Lachlan's Aunt Ginny sent us this little outfit and I thought it to be very appropriate as this will technically be his first (of MANY) road trips with us. And that is all I packed for Lachlan. I know there are about a million other things I could bring, but honestly, the hospital will have all of that (creams, clippers, powder, etc). Also, if you are planning on bottle feeding, I would definitely say you should be sure to include bottles and formula. Now, on to Mamma's bag... Keeping in mind, the hospital where we are delivering keeps both Lachlan and I for four days (a long time right?!) and so that is what I was trying to pack for. 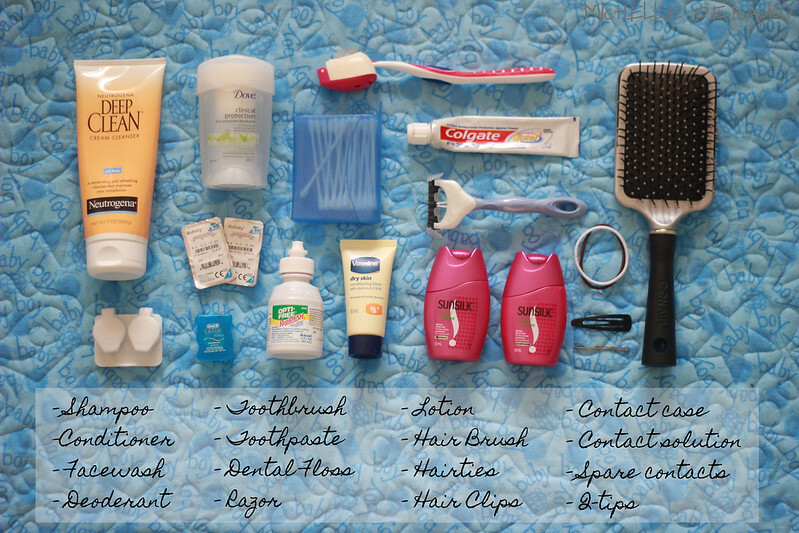 Your hospital stay might be much shorter or longer and therefore you would want to adjust the amount of each of these items you pack based on that. Plus, I am an over packer so be sure to keep that in mind as well! 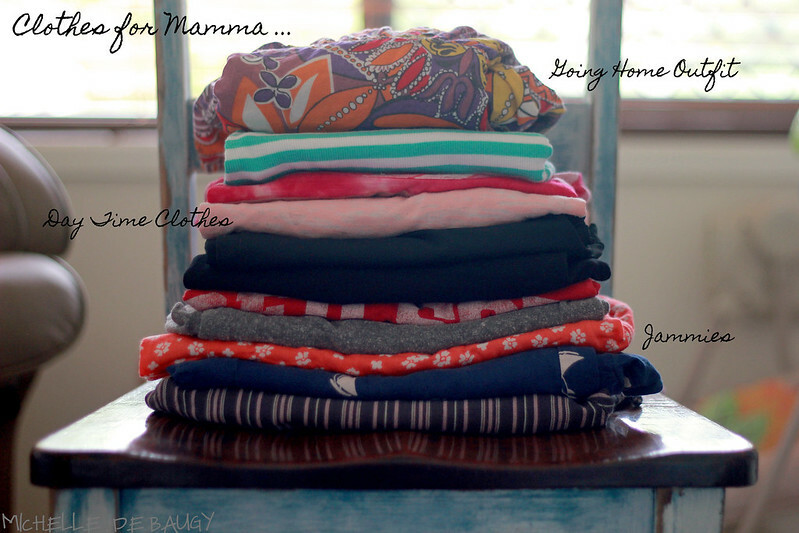 Jammies: Everyone keeps telling me how...umm... messy birth can be, so I decided to pack three pairs of jammies (just incase). I packed loose fitting, light weight pants and comfy shirts. Daytime Clothes: When I first read this I thought- hello, isn't that what jammies are for?!?! I mean, I just pushed out a baby for goodness sake. Can't I wear my jammies all day?? However, I decided to throw in a a pair of leggings and yoga pants, as well as a few maternity and nursing tops for my "daytime wear" just incase I found myself to be the only new mom walking around in pyjamas all day. Going Home Outfit: Again- JAMMIES... but just incase, I included a tube top dress because it would be super easy, comfortable and easy access for nursing. Other items not pictured: I also packed a short, light weight, black, cotton robe and a light weight hoodie. Pretty self explanatory... just the stuff you would pack if you were going away for the weekend. So that is it my friends. Too much?? Not enough?? Have I forgotten anything that is absolutely vital?? 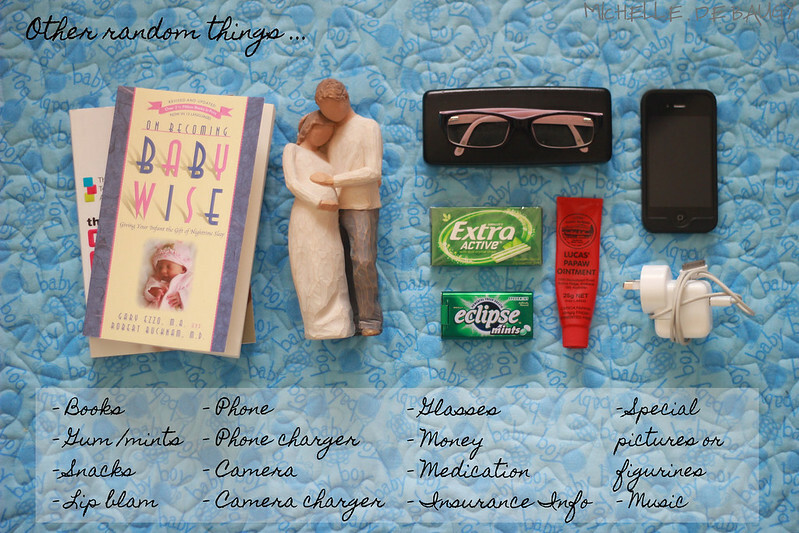 For any other soon-to-be new moms out there, I come back and add anything that I found I was missing so that you can be sure to include it in your bag. Do they do hospital pics in Australia? 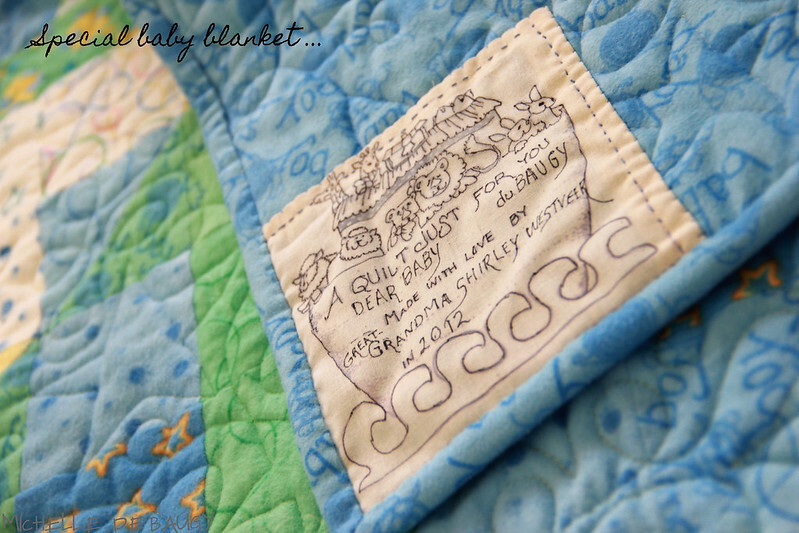 If so, you may want to bring "props" The blanket from great grandma is great..or maybe any other special stuffed teddy bears, etc. And i hope you have lanolin! your packing skill are awesome! The props things is a cute idea. Gin's bday pics where so cute. Or maybe on of those fabric banners to wrap around the babies bed (whatever that clear plastic thing is called) for a few cute pics. SO EXCITED!